eSurv, the Italian company owner of the namesake video management and analytics software solution, cloud ready and web based, and Skyrobotic, a leading Italian manufacturer of UAV, have announced a strategic partnership for the development of professional and integrated solutions for physical security, designed to support the activities of law enforcement and civil protection. eSurv is ready to amaze people at the next edition of “Fiera Sicurezza”, Italian most important exhibition for security professionals. After announcing the names of the guests partners at his booth: D-Link, TB Italia and PEI System, eSurv has confirmed the collaboration with Skyrobotic, that will present its latest generation drones at eSurv stand. eSurv and Skyrobotic have signed a partnership for the development of advanced and integrated video surveillance solutions and Unmanned Aerial Vehicle (UAV). Thus Skyrobotic will join eSurv booth at “Fiera Sicurezza 2015”, the Italian exhibition that takes place from 3rd to 5th November in Milan and involves security professionals. The use of eSurv solution with technologically advanced Skyrobotic drones is already extremely versatile and tested in many scenarios. For example, it allows the police to respond immediately to potential risks for people’s safety, during daily activities as well as risky situations like demonstrations. Moreover, thanks to its powerful video analytics Smart Plug-in, eSurv can detect any kind of event in a variety of contexts to ensure security at the borders, during the search and rescue of missing people (integrating thermal cameras), for maritime surveillance, fire prevention, critiacal infrastructure monitoring and so on. The primary goal of this partnership is to develop advanced solutions for specific application including law enforcement and citizen safety, in keeping with the standards of reliability, safety and certification regulations that each country requires. At Fiera Sicurezza, eSurv and Skyrobotic are going to present a joint solution based on eSurv solution and “Hunter” UAV, which introduces a new standard in situational awareness activities for public safety, law enforcement, emergency management of catastrophic events, homeland security etc. eSurv is the only video surveillance video management and analytics software that can be used in any cloud infrastructure and that can be defined a complete, open and integrated platform, since it is able to manage and even analize video streams coming from drones as well as cameras. Skyrobotic is a company that produces professional made in Italy UAV, taking care of the entire production chain, from design to sale. 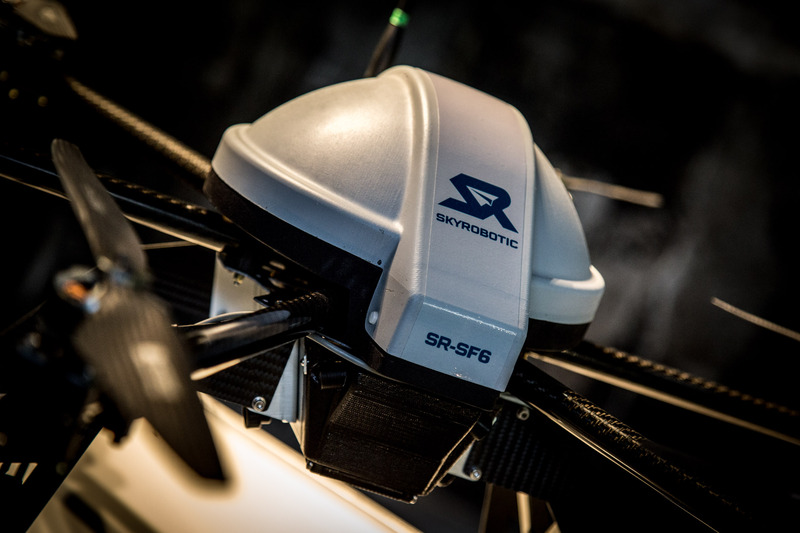 While designing UAV, Skyrobotic takes care of all aspects of technological and industrial development: aerodynamics, avionics, autopilot, navigation functions and mechanisms of automatic missions’ management. Skyrobotic’s UAV technology can also be used with optical, thermal, multispectral and micro Lidar cameras. 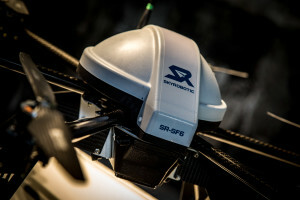 Furthermore SkyRobotic’s UAV are provided with a base station that supports GPS / GNSS receivers (Global Positioning System/Global navigation satellite system) and RTK implementation. This kind of base station allows to receive and process signals of GPS constellations (L1, C \ A; L2 PY), of Russian GLONASS and the quite new European Galileo constellation mode E1, with 226 discriminated channels. Try with eSurv the real Different Innovation in videosurveillance! Skyrobotic S.p.A. is the Italian leading company in the field of UAV (drones) production. Established in December 2013, it is part of Italeaf group, working on the development, manufacturing and marketing og civil and commercial drones, mini and micro classes for the professional market. With a constant focus on innovation, the company aims to achieve leadership in the professional sector of unmanned aircraft, taking care of the whole industrial chain: from design to the system integration, till the production of reliable and effective platforms. Skyrobotic joins track record, operational experience and the financial capacity of Italeaf, which is leader in the fields of cleantech and innovative industry and listed on the MTF NASDAQ First North at the Stockholm Stock Exchange. Moreover Skyrobotic joins the know-how and experience of Siralab Robotics, a company with high technological content. eSurv is an Italian company with 3 headquarters in Italy (Milan, Rome, Catanzaro) and 1 in Canada (Toronto). Company’s mission is to achieve “Innovation Different”, a concept that goes over simple innovation and focues on what can “make a difference” in the activities of those who deal with physical security. eSurv is also the name of our video surveillance software. It is the only solution on the market that integrates video management (VMS) and video analysis (thanks to its Smart Plug-in) into a single platform and regardless of the cameras used. It can be used on any cloud infrastructure, it is web based (i.e. it can be used via any web browser). No other software on the market offers all this! As vendor, eSurv carries the values he believes in: excellence, passion, innovation and continuous research, along with an extensive network of partners and distributors.